Sadie Bjornsen is an American cross-country skier and a member of the United States Ski Team nordic programs “Cross Country A Team” roster. 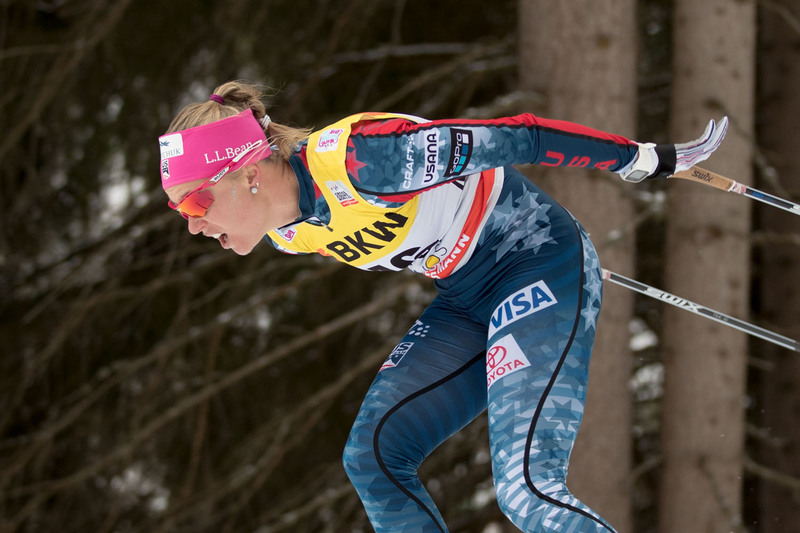 Bjornsen competed at the 2014 Winter Olympics in Sochi, Russia and the Winter Olympics in Korea. Bjornsen has five individual world cup podium and ten team world cup podiums: Third in the 5 km in Toblach in 2017, third in the 4 x 5 km relay in Lillehammer in 2013 and 2015, 2nd in the 4 x 5 km relay in Nove Mesto in 2016, and 2nd in the team sprint at Dusseldorf in 2011. 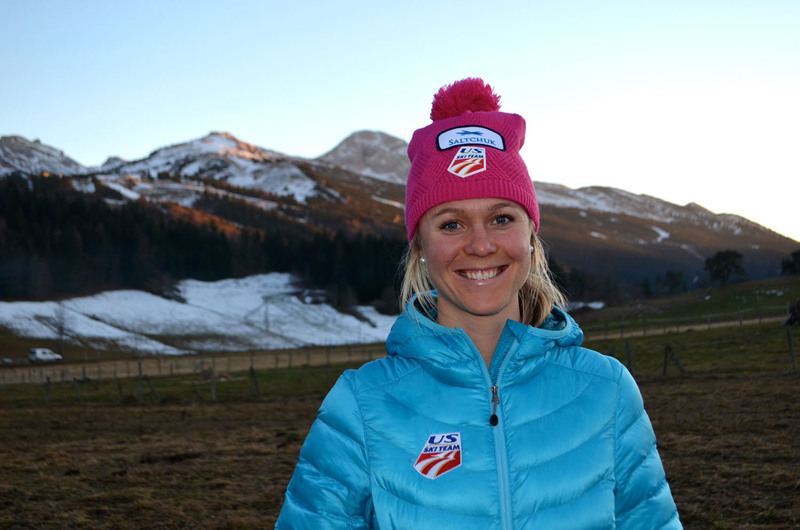 Bjornsen finished ninth overall in the 2017–18 Tour de Ski, behind team-mate Jessica Diggins in third: this was the first time that two Americans finished in the top ten in the race’s overall classification. Women Fitness’ President Namita Nayyar recently got in touch with Sadie talking about her journey and what new is happening in her life. At the impressionable age of just four years, you attended a parade to welcome home U.S. Cross-Country Skiing Olympians Laura McCabe and Leslie Thompson after they had competed at the 1994 Lillehammer Olympic Winter Games. At that time, you recognized the honor associated with competing at the Olympic Games, and from that point onwards, it became your dream to one day race for your country. Share with us your journey in making your dream come true. It was actually in 1998 after Laura McCabe returned from the Nagano Games. I was nine years old. First it started as a childhood dream and and as I became more involved in sport and international racing, I realized what this could be. As I grew older, I started competing overseas, and seeing exactly what this would mean to chase this dream. At the age of sixteen, I started really committing my life to this goal of mine to race at the Olympic level. At the age of 18, I moved to Alaska where I could train alongside the best in the country. The journey has included years of commitment, ups, downs, and amazing memories.